Ander Herrera is one of those players who you don’t realise how important he is to the side until he’s no longer there. The Spaniard is one of that rare breed of players who is consistent on a regular basis as opposed to being spectacular. Today, with the January transfer window generating all kinds of speculation, we find there are plenty of column inches being written about our 29-year-old midfielder. 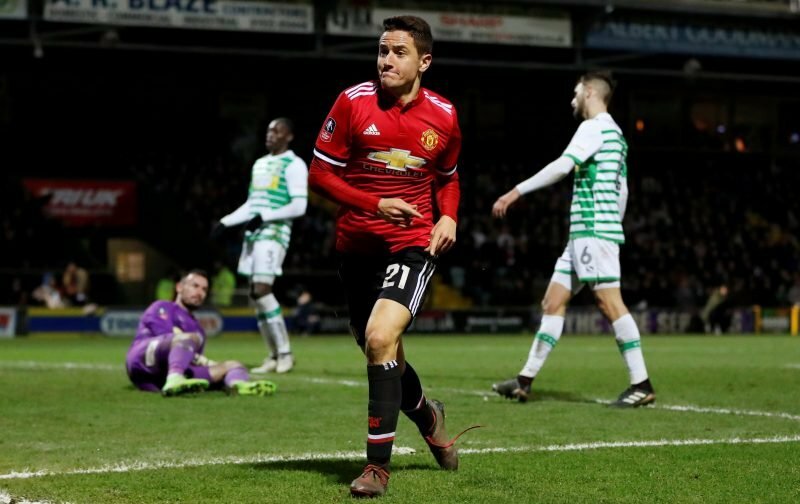 The first piece I stumbled upon, courtesy of the news source, the Daily Mail, implies that Herrera is wanted by his previous club Athletic Bilbao with their chief, Rafael Alkorta, inferring that he wants to take the player back to the club that sold him, to Manchester United, back in 2014. But, before we all start thinking we’ve seen the last of Herrera, the tabloid publication, the Sun, is painting a totally different picture. This particular source is championing the suggestion that Ole Gunnar Solksjaer has worked his magic and convinced the Spaniard to remain at Old Trafford. If that is the case, then full credit to our caretaker Norwegian boss.